The Great Volcanic Ridge of this young volcanic island contains two of the world's great walks, which are united as one of our Top 100 walks: the Ruta de la Cresteria around the rim of the Caldeira de Taburiente, an astonishing collapsed volcano which has produced a vast horseshoe of cliffs, and The Route of the Volcanoes, a trail winding among the remarkable line of craters that forms the island's southern central spine. Amazing La Palma: a youthful tear-shaped mountain-island, with a superb spine of craters and rocky outcrops and a stupendous horseshoe of cliffs around the Caldera de Taburiente, where a cataclysmic collapse of an enormous volcano has produced a stunning horseshoe of cliffs, thousands of metres above sea level - and above the caldera bottom. 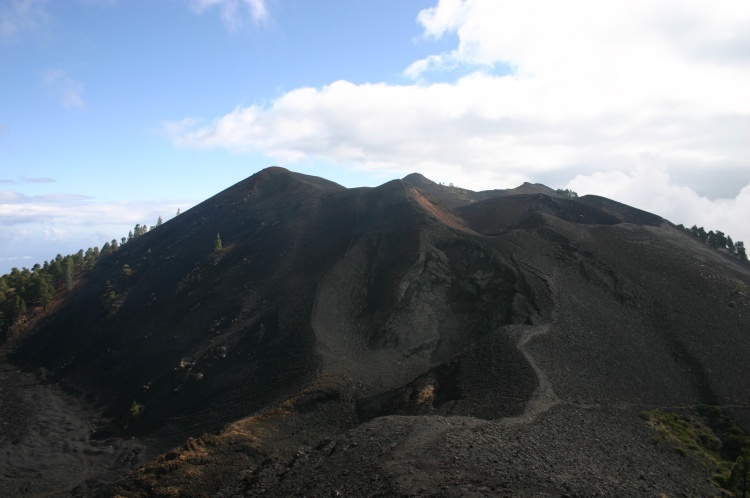 A series of smaller volcanoes lines the island's southern spine, erupting through verdant forest to create shattered or peculiarly rounded volcanic beauty, with the sea an ever-present backdrop, thousands of feet below. 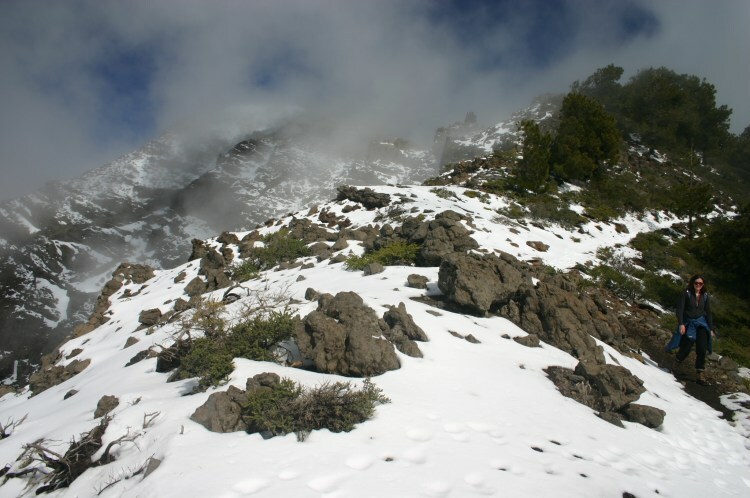 Due to their being part of the same volcanic ridge, the central spine of mountainous La Palma, we have grouped our Caldeira de Tuburiente and Route of Volcanoes walks together for the purpose of our Top 100. This green place is said to be one of the world's most mountainous islands, the tip of a huge volcanic mass rising from the junction of tectonic plates deep under the ocean floor. 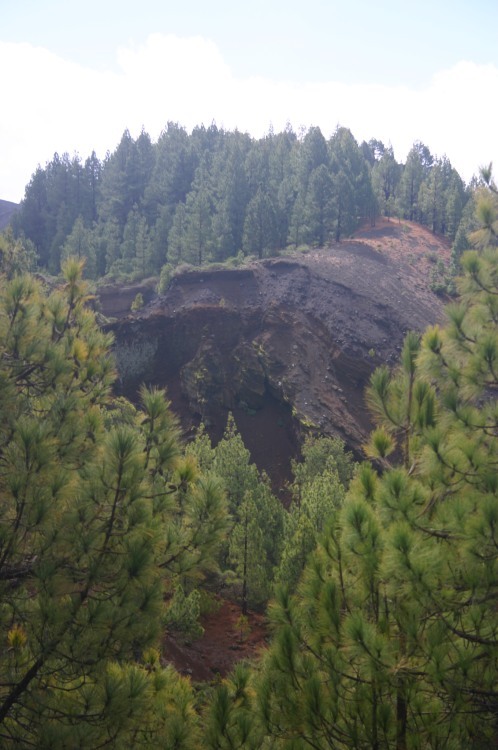 La Palma contains fine examples of the Canary Islands' unique vegetation, the remains of the old Mediterranean flora before that area got drier. Pines and shrubs abound, but there is little grass. 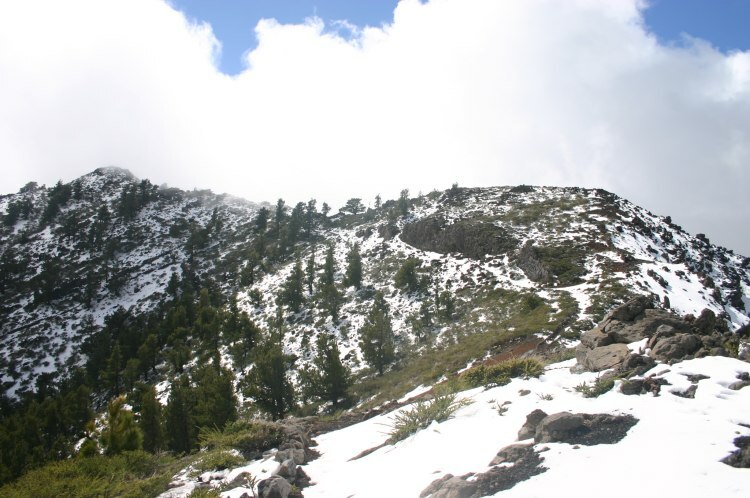 Ruta de la Cresteria: This famous trail follows the sharp ridge, with precipitous drops into the gigantic caldera inside, and steep slopes right down to the sea without, around the astonishing horseshoe of cliffs of the Caldeira de Taburiente. Read our detailed page, here. 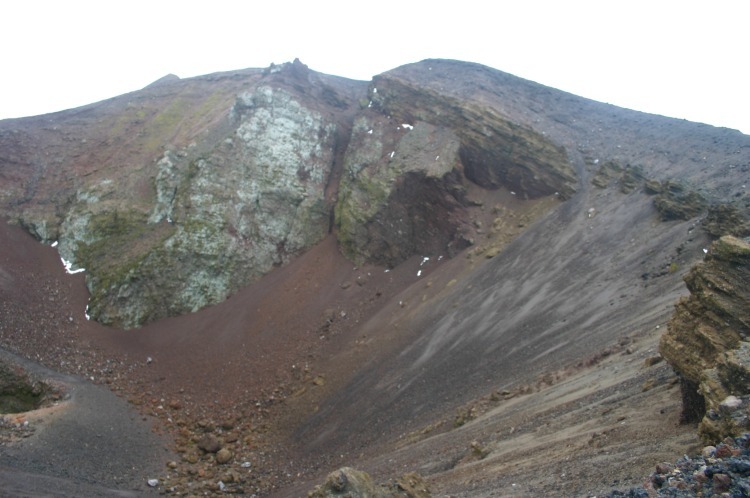 Route of the Volcanoes: One crater to the next; over broken, rocky terrain. Weird formations, an array of blazing colours, sinisterly beautiful craters, stunted pines and other specialised vegetation: all with a backdrop of the sea, nearly 2,000m below. Read our detailed page, here. The weather here can be difficult. 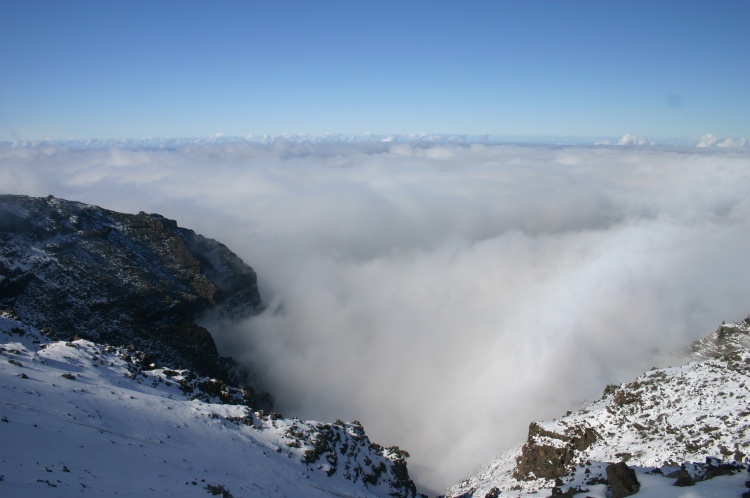 The prevailing winds bring cloud and rain from the north-east: the cloud can wrap itself around the summit, killing any chance of seeing the astounding views. 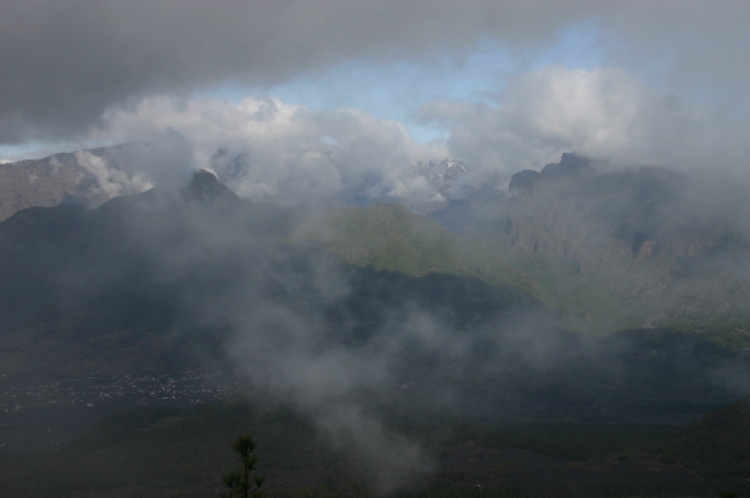 La Palma offers a huge selection of other great walks, easily worth a week. Los Tilos: this UNESCO biosphere reserve in the north-east envelops the archipelago's most extraordinary barranco - Barranco del Agua, a deep, sheer-sided ravine cloaked with fine, lush rainforest, a fabulous example of the Canary Islands' unique vegetation. 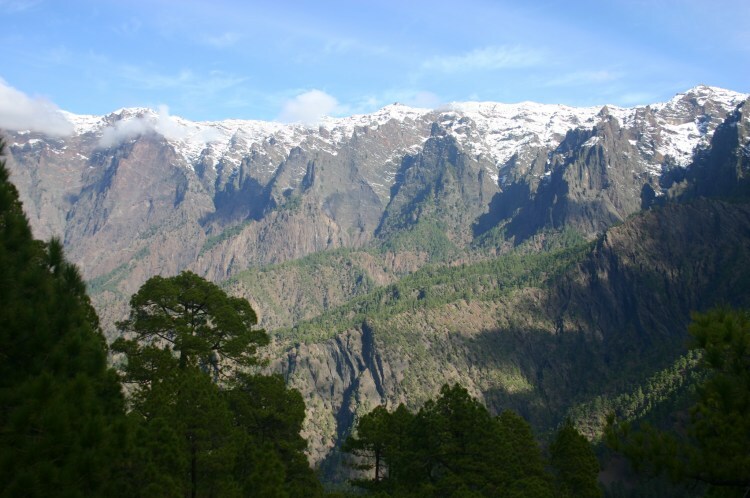 There are numerous good walks in this area, but the jewel is the outstanding circuit above the Barranco del Agua known as the Camino de la Reserva de la Biosfera, a long, tough climb to high springs and sensational viewpoints above the head of the ravine and round back the other side. The walk follows irrigation channels (similar to Madiera's levadas) fed by the springs, winding giddily above some horrid drops and through some narrow, wet and low tunnels. Absolutely thrilling, but not for the faint-hearted. Poris de Candelaria: This is a steep path (down and back) through pine forest, which then winds down cliffs to a remarkable cove in the dry west which was reputedly once a pirates' hide-away. 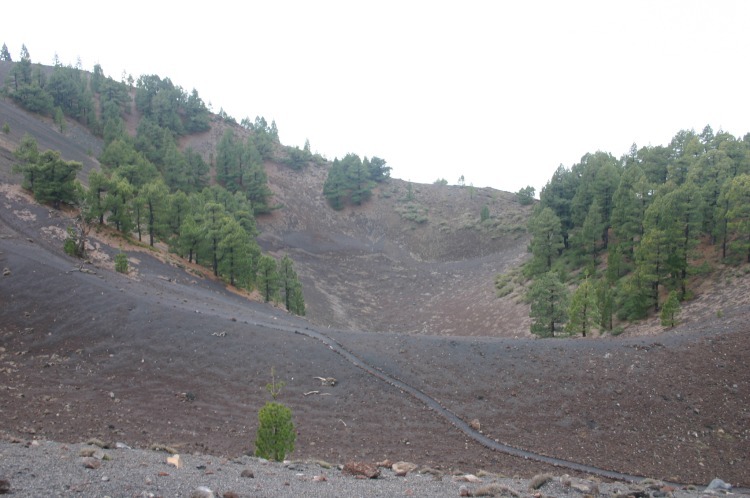 Tijarafe to Tinizana: This route crosses the more cultivated, drier western plain of La Palma, along old trails (cobbled in parts), which alternate between gardens, groves, and deep, wild ravines. 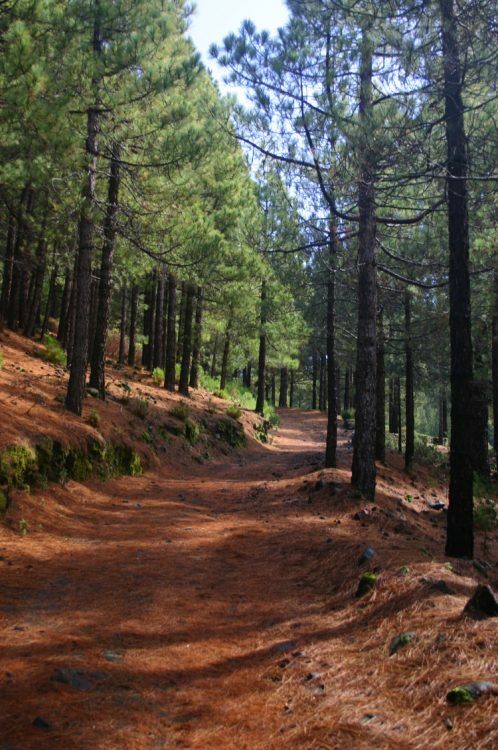 "You can find the best organized independent walks on La Palma by http://www.natour.travel If you prefer a walking week from hotel to hotel, with organized baggage transport, don't hesitate to see details under http://natour.travel/Independent_Walkingweek_Hotel_to_Hotel"